Good morning! The JY Class of 1969 is planning a 50th year Class Reunion for November 22-24, 2019. We're working to contact and reach out to all members of our class. We have a Facebook page, The Jack Yates Class of '69, that members can access and join our group. For more info, you can contact me at ahmedlaw@aol.com. Looking forward to hearing from you. Take care and take charge! Project Retreat 2011 is a retreat workshop for selected young ladies of Yates HIgh School in December 9, 10, 2011 at Danbury, Texas, between Pearland and Angleton, Texas. I have attached a file with all the particulars of the Retreat. We are asking the support all Jack Yates Graduates in order to have great success! Minimum $10 donation in cashier's check or money orders may be mailed Thank you! Jake Yates High Alumna the Minix family need your help too. We sent the email below to the principal at JY. My name is Roby L Minix Sr, I'm Rashad Minix Dad and his mother (Harolyn J Hayes-Minix) and I would like to have our son football jersey number 32 retired. We need to know the proper protocol to get our son's number retired. We can be reached or at Mrs. Minix . Thank you so much for your time and help in this matter. Petition summary and background	Rashad Landon Minix was murdered on July 3, 2011. He was a star football player for Jack Yates High School and a 3.5 GPA student of the 2010 class. 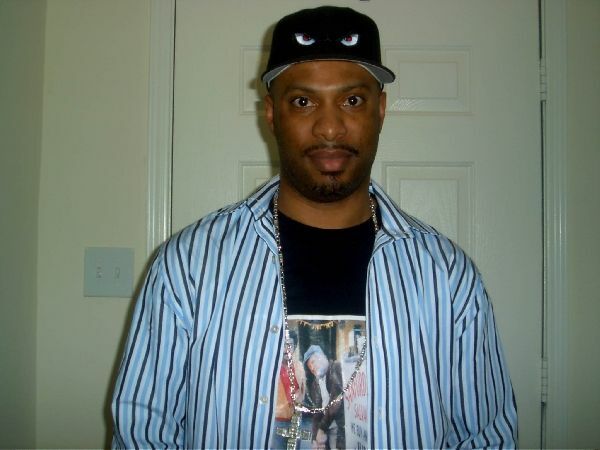 Rashad empowered others by being motivational and inspirational. He demonstrated the leadership role in the class room and on the football field. Rashad believed in building good character, showing compassion towards others, offering his services and time for the sole purpose of helping others better their situations and their desires to overcome challenges. The Marching Motion Band needs your help! The band is asking all former band members to join the newly formed Band Alumni Association created by Kelvin Cofield, Assistant Band Director & Class of 1984. The current band director, Mr. Darrell Williams, is seeking new ideas to get the band to the next level. The band is in desperate need of funding and is struggling with ideas for fundraisers, instrument repairs, recruiting new membership, summer band camp, uniforms, and more. At this time, the band is accepting all donations via monetary, time, or moral support. To celebrate Yates 85th anniversary, an Alumni March game is scheduled for fall 2011. Don’t forget to participate in the Band Photo Archive Page on the Jack Yates High School Band Page on Facebook. All old videos and photos (originals or yearbook/newspaper scans) are welcomed. If there are photographers with old photographs of the band over the last 60 years, please provide a release statement of the photos for the archive page. Please spread the word to all band alumni! Please Support the Marching Motion Band! The Marching Motion Band is seeking donations from our alumni. The band is in need of all donations both monetary and non-monetary. Donations will go toward instrument repairs, the purchasing of brass and woodwind horn mouthpieces, reeds, drum mallets, sticks, travel expenses, and recruitment activities. School funding for the band program is not enough to cover all the expenses. The band has seen a decline over the years due to the lack of participation. We need all alumni, especially the former band members instrumentalist and auxillary, to help push the band forward with moral and financial support. If anyone can donate new or gently used band instruments and accessories, please do so. If any of you have a business or is employed by a company that can sponsor the band, please contact us immediately. All support is welcomed by the band members, Mr. Williams, and the band booster parents. Help keep the band program alive before it is too late. If there are any questions or concerns, contact Mr. Williams, Band Director at the school. MYOSHEA FRANCIS, 49, passed away Nov. 29, 2009. Visitation Tuesday, Dec. 8, 2009 from 9:00am - 10:45am with services beginning at 11 am. Both services at St. John Missionary Baptist Church, 2702 Dowling St., Houston, TX 77004, Rev. Terrence D. Grant-Malone, Pastor/Officiating. Interment â€“ Paradise Cemetery North. Join us at the Renaissance Hotel, 8:00 p.m., December 20th, 2008 for a celebration of the Winds of Change as our class continues to thrive in the defining moments of history in our country, our state, our city, and our school, Jack Yates. Fee is $68. The cost for the Reunion Weekend is $100.00 per classmate. *Married Classmates* will pay $125.00. Please see the definition for*Married Classmates* below. Gerald Joseph has graciously provided us with a facility to have our 35th class reunion. There is no cost for the facility. Listed below is a list of the expenses for our activities.